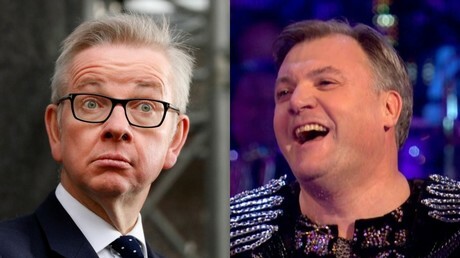 Environment secretary Michael Gove and former Labour minister-turned Strictly Come Dancing celebrity, Ed Balls, have sent the public into a mixture of disbelief and nausea with a performance of the Gangnam Style dance. The former political rivals put their differences aside to ‘entertain’ a crowd at a charity event, by imitating the moves to the massive international dance floor hit, made famous by South Korean pop sensation, PSY, some six ago. The Times’ deputy political editor, Sam Coates, posted footage on social media of the pair enthusiastically swinging their hands around their heads, at the event organised by three government departments in central London. In 50 years, this will be a Primary Source in the most depressing History GCSE exam ever set. The comedy memes came thick and fast. Balls, the former Labour Shadow Chancellor, enhanced his public profile with his appearance on the hit BBC show, Strictly Come Dancing in 2016. His performances drew a lot of laughter with his rather ungainly dance moves. For Gove, it was a rare moment of light relief, with Brexit turmoil currently engulfing PM Theresa May and her Tory government.